Guest Post | Lana Noonan: Did the Bay St Louis City Council Violate the Mississippi Open Meetings Act? At the outset, let me say that The Hancock County Alliance for Good Government has no interest in the personalities involved in the Bay St. Louis Historic Preservation Commission. What we do have an interest in, as per our Mission Statement, is keeping the political process clean, regardless of the individuals involved in the execution of the public’s business. On the evening of May 8, 2018, at their regular meeting, the Bay St. Louis City Council, after exiting Executive Session, acted on a item of business that was NOT on their advertised Agenda. That item of business was the dismissal of a Commissioner from the Bay St. Louis Historic Preservation Commission. Author Douglas HandshoePosted on May 31, 2018 Categories SopTags Bay St Louis City Council, Bay St Louis Historical Preservation Commission, Ellis Anderson, Mississippi Open Meetings Law58 Comments on Guest Post | Lana Noonan: Did the Bay St Louis City Council Violate the Mississippi Open Meetings Act? Cancer in the Locker Room Part Two: Ellis Anderson out at Bay Historical Preservation…. It was getting on to 11pm when the council came out of an executive session. No video was running and only myself and three other people were present when they reconvened. They approved the minutes and then Larry Smith said he wanted to make a motion. I’m paraphrasing, but it was something to the effect of “I make a motion that we discharge Ellis Anderson from the Historic Preservation Commission.” There was no discussion or reason given. I wasn’t asked to speak. Gary Knoblock was out of the room, but Smith, Gene Hoffman, Buddy Zimmerman and Josh Desalvo voted yes. Doug Seal and Jeff Reed voted no. After the meeting adjourned, I asked for some explanation. The mayor and Josh DeSalvo mentioned a possible lawsuit brought on by something I’d done on behalf of HPC. I pointed out that I’d only been carrying out an action discussed and voted on unanimously by the HPC at our last meeting. I wasn’t even chairing that meeting. I’d heard no complaints, nor had anyone contacted me to let me know there was an issue. Author Douglas HandshoePosted on May 10, 2018 May 10, 2018 Categories SopTags Bay St Louis City Council, Bay St Louis Historical Preservation Commission, Bay St Louis Mayor Mike Favre, Ellis Anderson47 Comments on Cancer in the Locker Room Part Two: Ellis Anderson out at Bay Historical Preservation…. After a 33 minute Executive Session, the Bay St. Louis-Waveland School Board took action to go forward with advertising the position of Superintendent of Education. In addition to advertising on their website and several educational entities in the state, the board voted to notify all 33 applicants who had applied in the previous search that the position is open again. Two more Special Meetings were scheduled for April 2, and April 4, to begin interviewing those applicants who respond to the District’s ad. Those interviews will be conducted in Executive Session after the meeting opens in open session as required by the Miss. Open Meetings Act. The Board also accepted the resignation of the Athletic Director, Vernon Powell, effective March 16. A way to the inside observation but I do not think Bay Waveland is ready for a swinging Superintendent so lets make that 32 instead of 33. Microcosm of Dysfunction: Last night’s Bay City Council meeting had a little something for everyone…. Anyone that has witnessed the early performances of the new City Attorney understands exactly why the City Council made the change. As an added bonus, the Citizens are finally getting value for their money in legal. 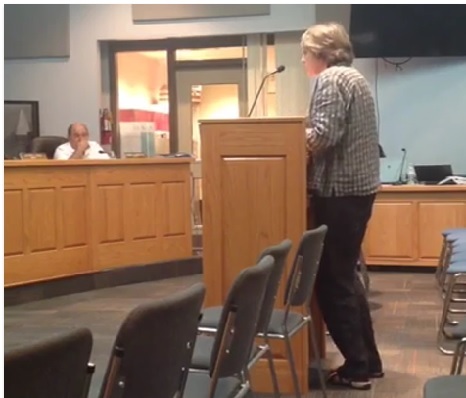 Several residents spoke out against Anita Warner’s application for a variance to the zoning ordinance in order to construct a six-foot aluminum fence on her front yard property line fronting on Third Street and Caron Lane and extend it to the side yards. The Planning and Zoning Commission denied the recommendation that the fence be aluminum and have a 10-foot set back. Many residents said they didn’t want the fence or greenery there because it would obstruct people’s vision. Warner attended the meeting and presented the city with photographs indicating similar fencing surrounding her residence. Ellis Anderson, a representative from the Historic Preservation Commission, told the board, after Warner and others had left the meeting. Two weeks ago, they voted down her request. Her choice was to appeal to the city, which Warner did, and the council sent her request to planning and zoning. The council granted the variance with the stipulation that the six-foot fence be constructed out of aluminum made to look like wrought iron, no obstructions in the right of way and a 20-foot set back on the corner and regular setbacks on the front and side, which is 20 feet. Bay St Louis Historical Preservation Member Ellis Anderson addressing the City Council on September 6, 2016. Photo via the City of Bay St Louis Facebook page. Author Douglas HandshoePosted on September 21, 2016 September 21, 2016 Categories SopTags Bay St Louis City Council, Bay St Louis Historical Preservation Commission, City of Bay St Louis, Culumber Harvey & Associates, Municipal Finance, Planning and Zoning20 Comments on Microcosm of Dysfunction: Last night’s Bay City Council meeting had a little something for everyone….